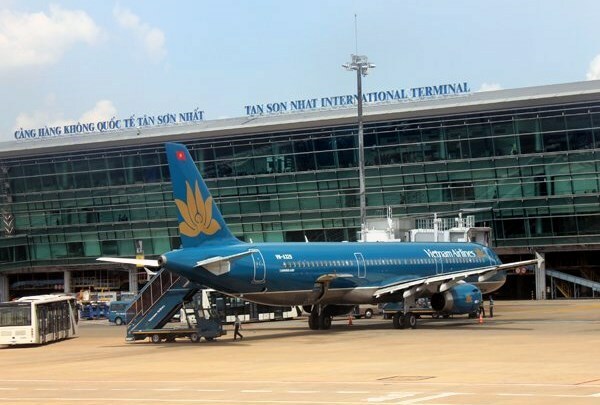 Hano​i (VNA) – Prime Minister Nguyen Xuan Phuc has agreed to hire foreign consultants to consider the expansion of the Tan Son Nhat international airport in Ho Chi Minh City without limitation in land use planning. The move is in line with Article 26 of the Law on Bidding on hiring international consultants in special cases. Foreign consultants will also be hired to assess the use of land for the aviation sector and build plans for the airport expansion along with adjusting the airport’s master plan as well as related development plans in the area to both the north and the south. The Ministry of Transport will chair over the selection of competent, prestigious and experienced foreign consultants according to the country’s legal regulations. The ministry was also tasked to decide on the use of funding sourced by the Vietnam Airports Corporation’s development investment fund with advice from the Ministry of Planning and Investment, the Ministry of Justice, and the Ministry of Finance. The transport ministry has to take legal responsibilities for the selection of overseas consultants as well as its decisions on the aforesaid issues, and report to the Government leader in December 2017. The ministry was also asked to closely work with the Ministry of National Defense and the People’s Committee of Ho Chi Minh City to create the best conditions for the selected foreign consultant(s) to perform their work.